Staats Service offers washing machine repair Peoria IL residents find fast and affordable. We respond promptly and courteously whenever you experience problems with your washing machine. In fact, we also repair dryers, dishwashers, microwaves, refrigerators, ovens, ranges and other appliances. Furthermore, we provide all of our clients with upfront pricing. The price you see is the one you will pay. We do not charge by the hour, but by the job. So, you can remain confident you will not receive a bunch of additional charges after we complete work. Staats Service knows providing repairs is the easy part. Working to provide you with honest prices and fast repair that exceeds your expectations is what makes us different. In order to work with the most-trusted name in the Tri-County area, call Staats Service today at 309-694-9177 or contact us online. Staats Service provides washing machine repair Peoria IL customers use for reasonable rates, but that’s not all. In fact, we sell and install Rheem HVAC systems and can repair most major brand names of HVAC systems out there. In addition, we can repair thermostats, provide custom sheet metal fabrication, improve your indoor air quality and help with electric heat. Furthermore, we offer service plans to provide preventative maintenance that keeps your HVAC system running with clockwork precision. 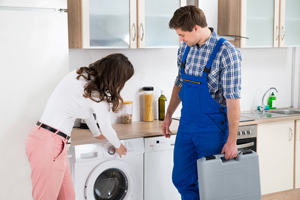 Staats Service provides quality washing machine repair Peoria IL homeowners recommend for the honest price. Give Staats Service a call now at 309-694-9177 or contact us online for reasonable washing machine repair. 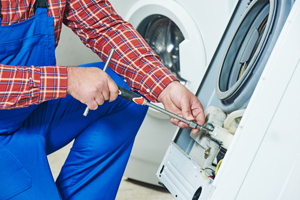 Are you seeking washing machine repair outside of Peoria? That’s not a problem. Our office is at 601 South Main Street in Creve Coeur. Therefore, we are conveniently situated to respond to service calls in Pekin, Metamora, Morton, Washington, East Peoria and the surrounding area.